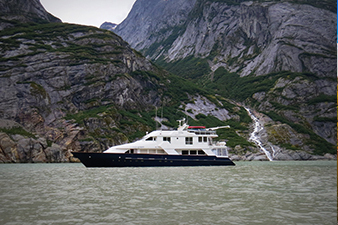 The small expedition ships and crew of UnCruise Adventures provide enriching travel experiences and will inspire your appreciation of local cultures and the natural world. 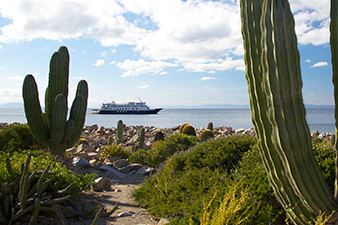 To learn more about this cruise line please contact one of our cruise experts. 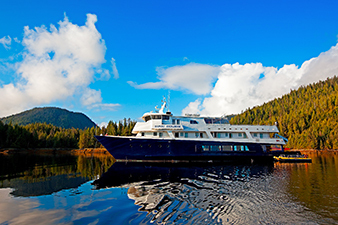 UnCruise Adventures’ small ships are best known for exploring the Pacific Northwest and Alaska. 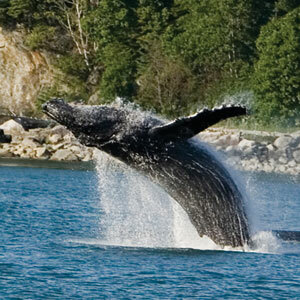 They also go to Costa Rica, Panama, the Galápagos Islands, Hawaii and Mexico’s Sea of Cortés. 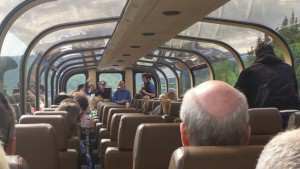 With each trip, connection with others and adventure are at the heart of your exploration. 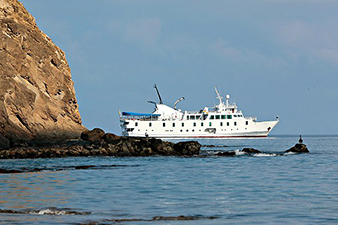 Due to their size and shallow draft, the ships excel at nimble exploration and take you places larger ships cannot go. You’ll feel a sense of casual comfort with a mix of amenities and gear for getting outdoors and up close to nature. 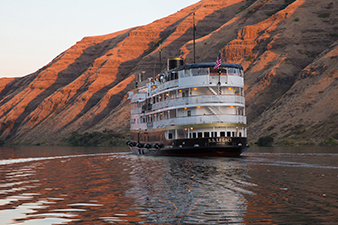 Ships range in size from a 22-guest safari ship (the perfect “ticket in” to the tiniest nooks in Alaska and the Pacific Northwest) to an 86-guest replica of a coastal gold rush steamer that sails Alaska along with the Columbia and Snake Rivers. 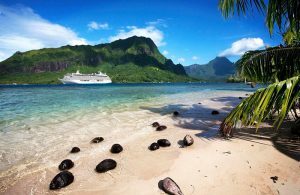 Cruises include excursions, hand-crafted cuisine (focused on sustainable dining), and a wide array of beverage options, including alcohol – with an impressive collection of small batch, craft spirits. 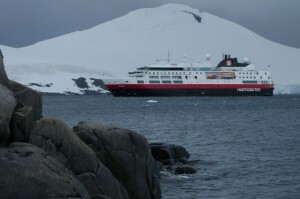 Amenities aboard each ship vary. 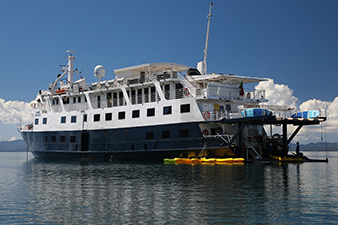 For example, the 84-guest Safari Endeavour is polished and upscale, with a roomy lounge, dining room, sun deck, EZ Dock launch platform, exploration gear (kayaks, paddle boards, inflatable skiffs, and more), two on-deck hot tubs, fitness equipment, a wine bar, and four suites complete with step-out balconies. No matter which ship you choose, the crew is focused on helping you break away from the masses, connect with your fellow guests and local people who you encounter, and learn while having fun. 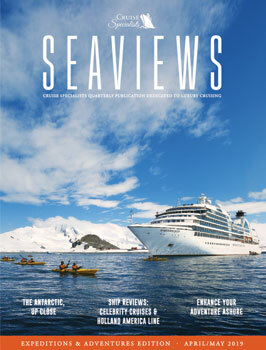 To learn more about this cruise line please contact one of cruise experts. 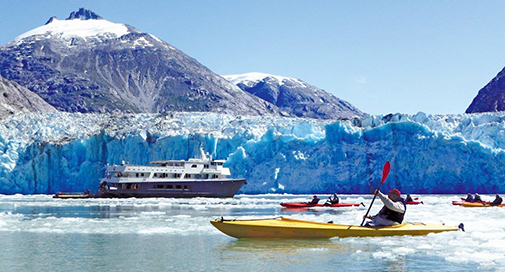 Alaska Cruise Tours: What Are They, and Why Should I Take One?